Ranch saddle by Rios Brothers. 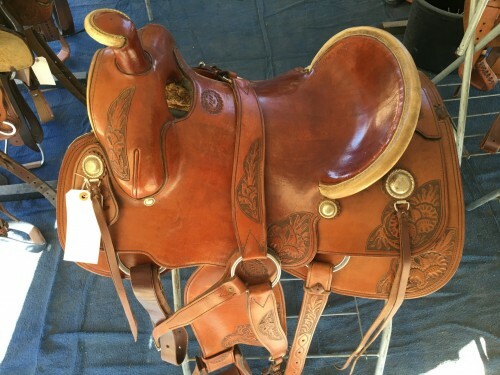 16" hard seat, corner floral tooling, rear cinch and matching breast collar. Has only been ridden a few times.